Transport for London (TfL) hopes the move will reduce the number of polluting cars in the capital, and estimates about 40,000 vehicles will be affected every day. Mayor of London Sadiq Khan said it was "important we make progress" in tackling the capital's toxic air. However, the Federation of Small Businesses (FSB) said many small firms were "very worried about the future of their businesses" as a result of the "additional cost burden". 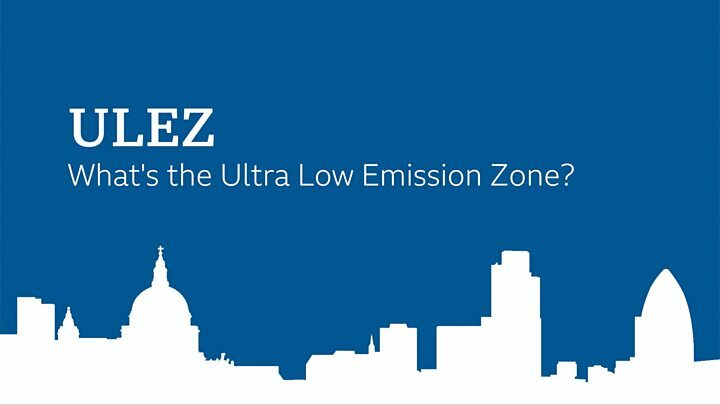 London's ULEZ: How does it compare? Mr Khan said London's air pollution was a "public health emergency" and it was the "poorest Londoners that suffer the worst quality air". Media captionAir pollution: what are the effects on humans? A very damp misty morning in London and most people probably won't notice anything has changed. But London has taken a big step in trying to clean up its air. Given the go-ahead in 2013 by the previous mayor Boris Johnson, Sadiq Khan brought the ULEZ forward a year and is planning to expand it in 2021. 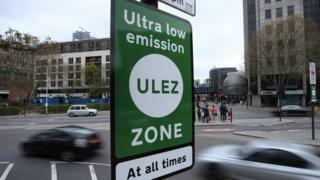 City hall says the ULEZ has already changed behaviour, with a fall in vehicles in central London and a rise in compliant vehicles ahead of launch. The plan is that London's air will be compliant with legal limits by 2025. Other cities are talking about diesel bans but London has taken the radical step that puts it in the vanguard of clean-air schemes. Other cities are watching closely. Speaking to BBC Breakfast, Sandra Green from the Clear Air Parents Network said the scheme was a "really big step forward". "Air pollution caused by traffic, caused by individual cars - is causing problems for health for the next generation... and it's about time we did something about it," she said. Figures from City Hall show more than 60% of all vehicles driving through the charging zone in March were already compliant with the new restrictions. Nearly 27,000 non-compliant vehicles have been taken off the roads in the last two months, and there has been an 11% drop in the total number of cars entering central London. However, some drivers have spoken about their anger that governments had previously recommended buying diesel cars which are now being targeted by the charge. Jim Parker, managing director at car recovery company Boleyn, said the charge was "really unfair". "It's not just us, it is across the industry - everybody that owns a van or a truck and earns a living with it," he said. "We've had a local business, where the margins are so tight, they've now had to cease trading because they can't get a retrofit kit and they can't afford new vehicles." Go Ultra Low, an electric vehicle campaign backed by the government, said: "There has never been a better time for drivers to consider making the switch to electric."